Every good thing has its limitation or in other words, we can say that every new and great thing comes with its own limitation. Apple has recently launched three iPhone to the world and the best out of it is iPhone X. The Phone which remained in the headlines for months before it was launched. The phone which has brought the good old days for Apple and now which is hardly available in the country like India. The phone which maximum of us want to have in the hand. All this with some great bulky price tag. But as I said earlier, every good thing has its own limitation. Apple iPhone X could suffer from “burn-in” and “visual changes” that usually affect smartphones with OLED displays, according to a new support document page. 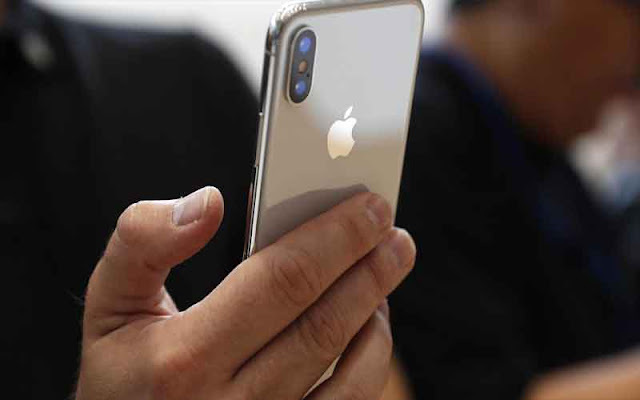 Apple says these issues are completely normal with the phone’s OLED display that has the potential to suffer from “slight visual changes” and can include “image persistence” or “burn-in”. The warning should be seen as an attempt to inform its users that some issues like “burn-in” could happen to the iPhone X’s “Super Retina” display. OLED displays are more prone to “burn-in” and “visual changes” compared to LCD displays. Burn-in happens when a high-contrast image on the display stays for a long time, but this occurs in more “extreme” cases. However, the company adds that the Super Retina Display on the iPhone X is the “best” in the industry in reducing the effects of OLED “burn-in”. As per the Apple support page of iPhone X, explanation about the situation says “If you look at an OLED display off-angle, you might notice slight shifts in color and hue. This is a characteristic of OLED and is normal behavior. With extended long-term use, OLED displays can also show slight visual changes. This is also expected behavior and can include “image persistence” or “burn-in,” where the display shows a faint remnant of an image even after a new image appears on the screen”. This issue was heard recently about the Google’s Pixel 2 XL, the device has been suffering from screen burn-in issues. That’s when traces of the previous image are retained on the screen, making it feel like the image has been burned into the display itself. Apple says its latest iOS 11 mobile OS is specially designed to minimise the effects of long-term use and extend viewing the life of the Super Retina Display. Apple has suggested some measures which it said will help extend the life of the screen. Apple recommends that one should set the iPhone X display to turn off when not using and also to avoid displaying static images at maximum brightness for long periods of time.